The name “Donald Trump” carries a heavy load of connotations and implications. The so-called mogul was born wealthy, raised wealthy and remains as such to this day. Obtaining an A-list celebrity status as one of the wealthiest businessmen in the world and the host of the ABC reality show The Apprentice is one form of power, but being President of the United States is a completely different ballpark. Saturday, April 29 was President Trump’s 100th day in office and the amount of damage he has caused is unparalleled. Legislation amongst the Trump Administration has been seriously lackluster in that neither he nor his staff have made any substantial advancements. Although President Trump has been full of surprises, he has fulfilled some campaign promises – whether they may be in the best interest of the republic, no one knows. For instance, he withdrew membership from the Trans-Pacific Partnership and approved the construction of the Keystone XL Pipeline. Trump’s arguably greatest mistake was that of the destruction of climate regulations put in place by President Obama. Trump appointed Scott Pruitt as the Environmental Protection Agency (EPA) administrator – who has been an open opponent to environmental conservation efforts. 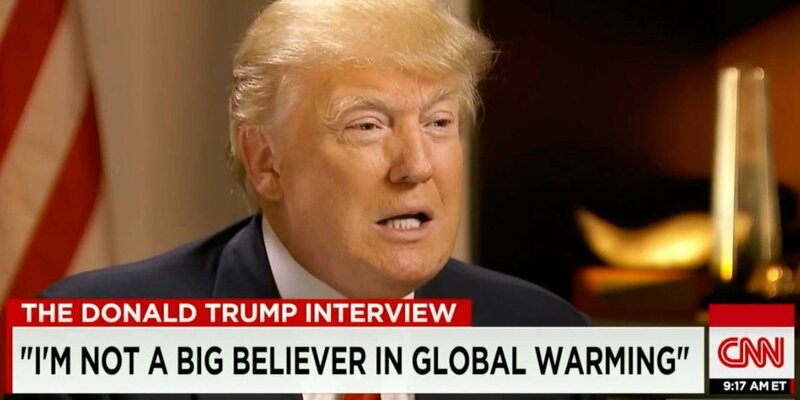 Despite the confusingly popular belief among a select few members of the Republican Party that climate change does not exist, even many conservatives say that an environmental disaster could occur.